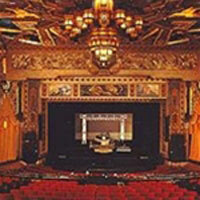 In the heart of Hollywood, on Hollywood Boulevard, right down the block from Vine Street, stands the Pantages Theatre. It's a fitting location: The Pantages has become one of the greatest landmarks of Hollywood, signifying both the glorious past and adventuresome future of the world's entertainment capital. The Pantages has a history as grand and diverse as the stage and screen fare which aud... Morediences have flocked to enjoy there for half a century.